“Not even Tanzania’s famed Serengeti Game Reserve or the awesome Ngorongoro Crater fills your camera viewfinder faster with Africa’s legendary Big Five – at MalaMala, lion, leopard, buffalo, rhinoceros and elephant appear magically.” This was the thrilling experience of acclaimed wildlife photojournalist Geoff Dalglish, reported in a Sunday Times review, and appearing on MalaMala’s homepage. MalaMala‘s 33 000 acres of wilderness, cushioned between the Kruger National Park and the Sabi Sand Reserve, has been the chosen site for many a luxury photographic safari in South Africa. Here, numerous photojournalists and filmmakers have captured footage for awesome viewing Africa’s wildlife. Mail us. 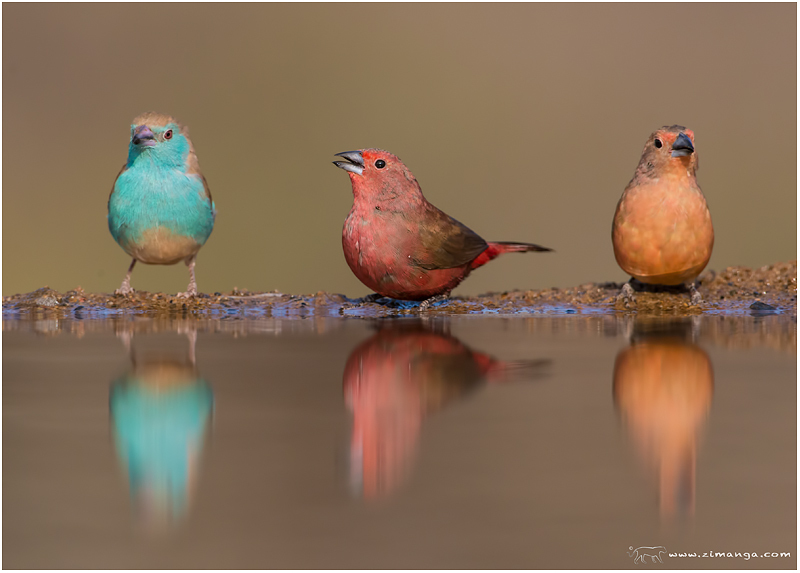 Photographers will also find outstanding opportunities for snapping up a plethora of wildlife and birds in the northern part of the Sabi Sands. 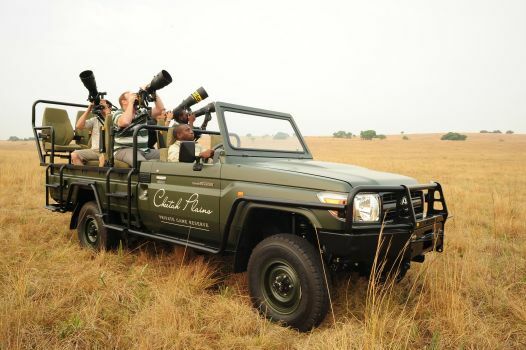 Cheetah Plains Private Game Reserve offers photographic safaris in a custom-built safari vehicle – apparently the only one of its kind anywhere in the world – sporting specially designed seats and control arms and allowing four photographers to capture the same shot at any given time. At Cheetah Plains professional wildlife photographers will accompany you and make specialist equipment available for use. There’s a great lodge to return to for the kind of creature comforts that gratify after hours in the bush behind the camera. Mail us. At Sabi Sabi, capturing wildlife on camera has always been part of the treasured safari experience, but now there’s also a professional photographer available to help guests nail down even better images and get those once-in-a-lifetime wildlife shots. These safaris need to be pre-booked, and will be tailored to suit the participants, customising subjects such as camera setup, photography in the field, working with wildlife, light sources and so on. At the end of it you will have your selected photos to take home on a CD or flashdrive. Mail us. Ulusaba Private Game Reserve, also in the game-rich Sabi Sands, is another lodge offering photographic safaris. 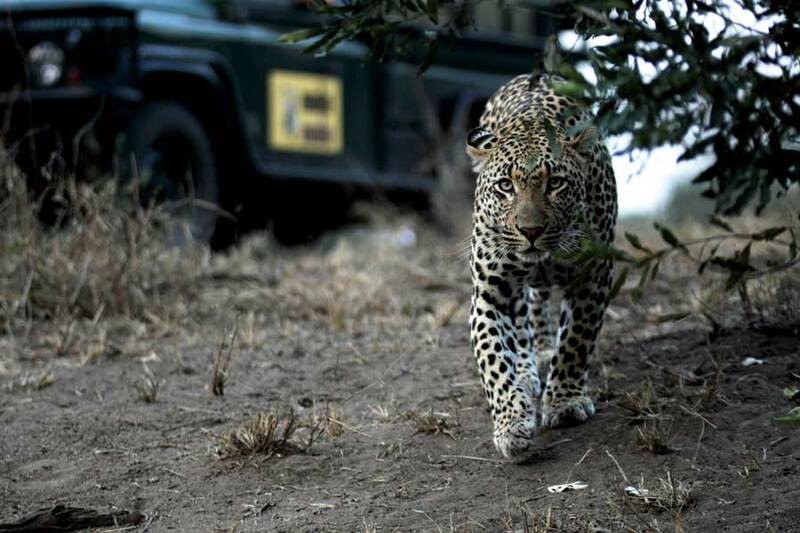 These are led by Ulusaba’s rangers and trackers, who are themselves experienced photographers. Learn about camera functions, wildlife photography skills, flash photography in the bush, image composition, and other bits and bobs of wildlife photography. Mail us. 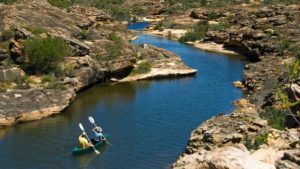 At Jaci’s Lodges in Madikwe Game Reserve, photographic game drives are available every day and charged as an extra – additional to the twice-daily regular game drives that are included in the tariff. Equipment is available for loan: Canon or Nikon pro level DSLR, a variable focal length lens (up to 400 mm), and a complimentary SD card. The photography game drives can be booked during your stay at Jaci’s lodges, or in advance of your stay. Jaci’s Lodges also run photographic workshops and these accommodate both aspirant photographers and experienced photographers wanting to take their skills to the next level. 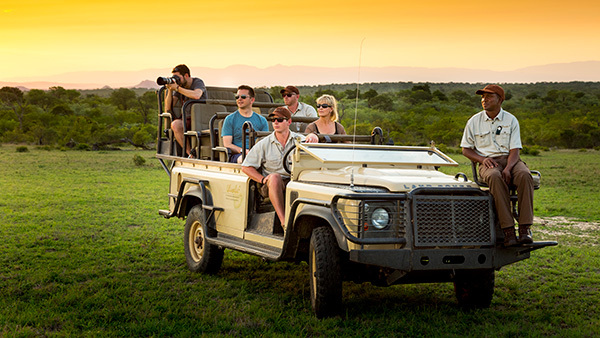 A custom-built vehicle photographic safari vehicle is used and pro-equipment is available for use. These workshops need to be booked in advance. 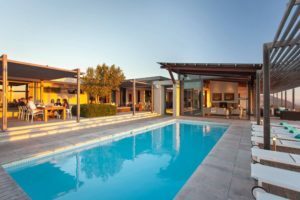 Accommodation at Jaci’s Lodges is mod and luxurious, and guests can choose to stay at either Jaci’s Safari Lodge or Jaci’s Tree Lodge. Mail us. In the Mkuze River wilderness area of KwaZulu-Natal, Zimanga Private Game Reserve has been created with the needs of wildlife photography enthusiasts in mind. It is an excellent experience for photographers, offering tailor-made packages and accommodation at Doornhoek Homestead on the reserve. There are five very comfortable and carefully designed photographic hides on the reserve, created by Bence Mate, a former winner of the BBC Wildlife Photographer of the Year Award and a world fundi on hide construction. Mail us. Mail us for bookings, or call +27 21 797-7122 (international) or 0860 102 907 (local).